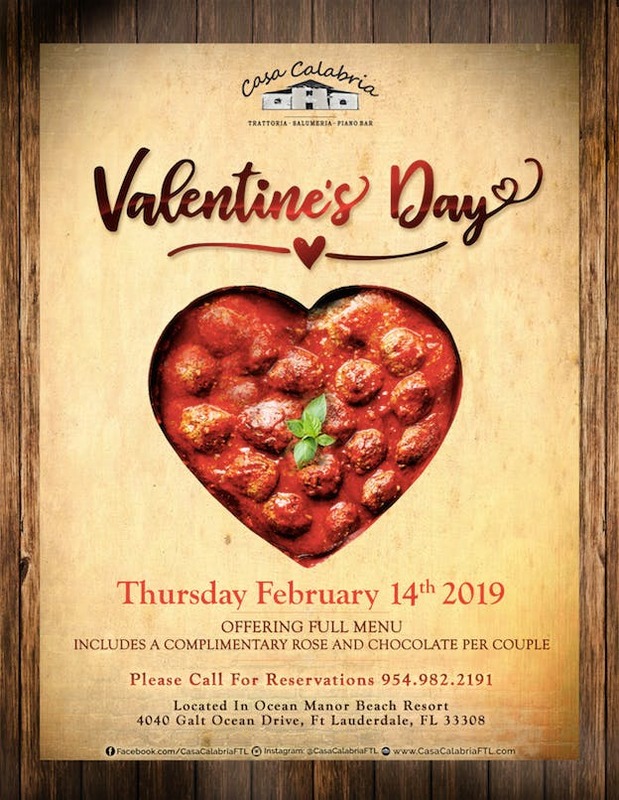 You can't have a perfect Valentines Day without love and meatballs! So this year, have both! Live music starts at 8pm. Read our 5-star reviews on OpenTable, Facebook, and Yelp"South Florida's most authentic Italian dining. ""A hidden GEM! ""Five Stars for the chef from Calabria Italy""The Italian singers are fantastic! Great night!"